Took me a while to realize that was a leg!! 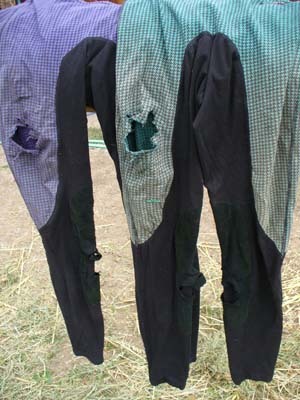 At least if you were to fall off a horse in these tights it would be easy to identify the body. 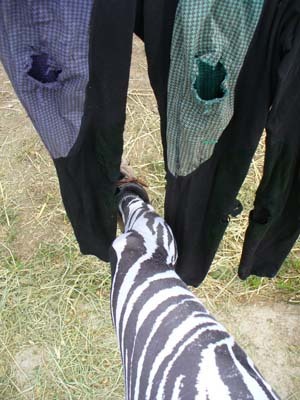 I understand your attachment to your old tights. My wife keeps wondering why whenever I try a 100, I don't wear the nicer new tights but dig out the ones that are torn and worn.